A business doesn’t last 126 years by simply spinning its wheels. Unless it’s the bicycle company named Huffy Corp., that is. In Huffy’s case spinning wheels is simply a good business practice for longevity. The trick for Huffy, however, is to keep evolving and developing new ideas in order to stay ahead of the competition and trends. And that’s exactly what Huffy has done since the owner of the Davis Sewing Machine Co., George P. Huffman, switched gears in 1892 and started manufacturing bicycles in Dayton. 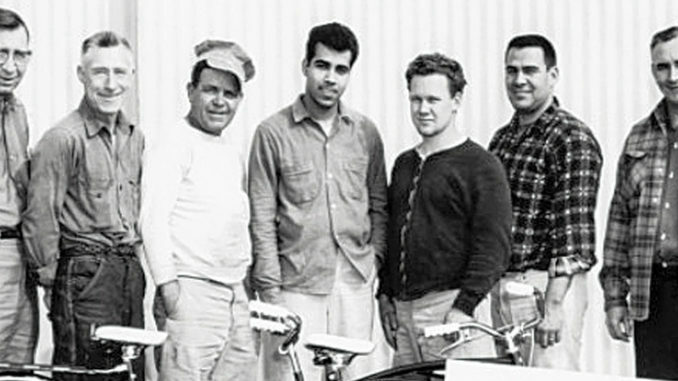 First, Dayton bikes by the Davis Sewing Machine Co. evolved into a new brand, called Huffman bicycles, in 1924. 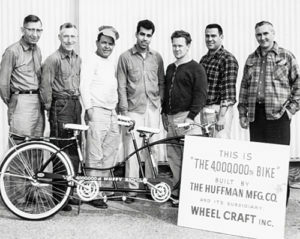 Then, during World War II Huffy created 4,000 bikes for overseas troops in addition to manufacturing primers for artillery shells. The real breakthrough for Huffy came in 1953 when it developed the Convertible Bike, which introduced kids and parents to training wheels. The Convertible Bike was also the first bike to carry the Huffy brand nameplate. In the years since Huffy developed a bicycle with a battery-powered radio; Olympic award-winning BMX bikes; the Green Machine, a tri-wheeler with dual-stick steering; EZ Build Bikes, which require no tools to assemble; and the Perfect Fit Frame bike that allows riders to keep both feet on the ground when stopped. Although Huffy bikes are no longer produced in the U.S.—most mass-produced bikes are now manufactured in Asia—Huffy Corp. still maintains its company headquarters in Dayton. United Wheels Co. Ltd., a Hong Kong-based company, owns the Huffy Corp. Huffy officials hope their latest innovation can keep the bicycle company spinning its wheels well into the future. Huffy recently announced it would produce a new brand of bikes targeting different buyers and, more importantly, different retailers than its Huffy Bicycle brand. Batch Bicycles will be targeted to the “more discerning buyer” and sold exclusively through independent bicycle dealers in the U.S., says Huffy Bicycles CEO Bill Smith. Major big-box retailers such as Walmart sell the nearly 5 million bikes produced each year by Huffy, its largest customer. Huffy Bicycles target the entry-level buyer, where prices top out at about $299, he says. Because most bicycles at independent bike dealers tend to start at about $499, Smith says Huffy recognized there was a gap in prices, or a “white space,” that could be filled by a new brand of bike. “[Independent bike] dealers told me there are opportunities for incremental business in between the high end of mass-market bikes and the low end of specialty bikes,” Smith says. Batch Bicycles will range from about $150 to $500, he says. Batch Bicycles won’t be built on the same platform as Huffy bikes, he says. “These are products that have been designed specifically for that more discerning buyer at the [independent bicycle dealer] retailer and that more discerning consumer who shops that trade channel,” says Smith. For example, the children’s line of Batch Bicycles may be built with aluminum, which is not the case typically with Huffy bikes, he says. In addition, the adult line of Batch Bicycles may feature more expensive Shimano components than the typical Huffy brand, says Smith. So how is it possible to build bikes with more expensive material and components and then sell them for less than entry-level specialty bikes? Simple. It’s economy of scale, says Smith. 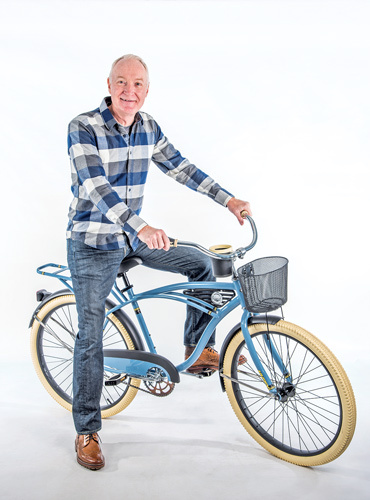 The Batch Bicycles line of roughly 60 or 70 different models is expected to include kids’ bikes, comfort bikes, mountain bikes, commuter bikes and beach-cruiser bikes, says Smith. “Each of them are designed in what we call spec’d, or feature specifications, which might typically be found on more expensive performance brands or boutique brands,” he says. So why the decision to start a new brand that’s sold exclusively through small, independent bicycle shops? 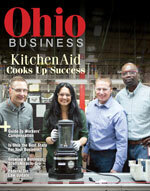 It’s all about staying relevant in the rapidly changing retail industry, says Smith. Those dramatic changes include the growth of internet sales, the demise of big-box, brick-and-mortar stores such as Toys R Us and the increasing impact of social and digital media. “Companies who are spectators in that change are likely to be left behind,” says Smith. “We want to be sure that our products and our brands, plural, are available wherever consumers are shopping,” he says. Huffy will launch the Batch Bicycle brand in September at the Interbike International Bike Expo in Las Vegas, the largest bicycle industry trade show in North America. So what about the independent bike dealers—are they buying what Huffy is selling (or gearing up to sell)? It’s certainly piqued the interest of Brandee Lepak, the co-owner of four Global Bikes stores in Phoenix, Arizona, and the chairwoman of the board of the National Bike Dealers Association. “I will be checking out their line this fall, but yeah I’m definitely interested,” says Lepak. Batch Bicycles could be a game-changer for the small, independent, locally owned bike shops. That’s because chain stores Toys R Us, Sports Authority and Sport Chalet—the retailers where many people bought their first bike or their children’s first bike—have closed and created an “empty space,” says Lepak. 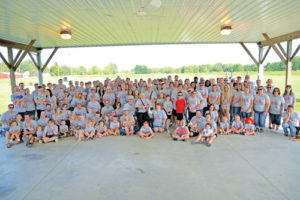 And, who knows, that may just keep the wheels spinning at Huffy Corp. for 126 more years.